The Bradford Exchange and its affiliated companies' official affiliate program, represents three longstanding and valued brands: The Ashton-Drake Galleries, The Hamilton Collection and The Bradford Exchange. Offering thousands of popular products across multiple collectible affinities, there's never been a better opportunity to earn up to 15% with our reputable affiliate program. Base payouts from 12-15%  the highest in the collectibles industry! Bounties and private commissions available  as much as $75 per sale! No cost, no obligation  sign up and get started within 24 hours! Exclusive offers for deal publishers, loyalty programs, niche publishers and SEO specialists! Huge offline advertising support  over 1 billion impressions per year! Catalog of over 3,000 exclusive, niche products and brands including The Bradford Exchange, The Ashton-Drake Galleries and The Hamilton Collection! 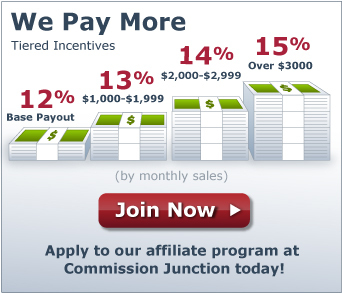 Dedicated, hands-on affiliate management team! Questions about becoming an affiliate for The Bradford Exchange and its affiliated companies?